I am disgusted and appalled by the case I have just received. My constituent arrived from Jamaica in 1964 aged 6. 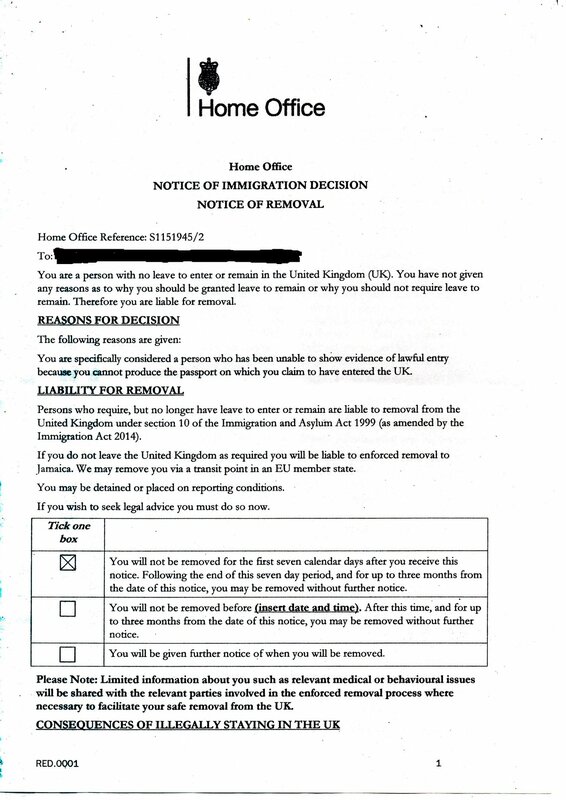 He has shown me his letter from the Home Office telling him that he will be deported despite having a National Insurance card from 1974 & NHS documentation from 1964. I cannot say, in all honesty, that I have never seen anything like this, but I did hope never to see it in the UK. Over the last 18 months or so, I have been reading, in short bursts, a fairly detailed account of the life of Jews in Vichy France – it’s hard to take, and I’ve still not finished the book. Most of my father’s family escaped from France, because my grandfather was English, but others, like his cousin and aunt, didn’t; they’d thought they were French. For those who stayed, the little restrictions added up piece by piece. At first people couldn’t go out at certain hours, then they couldn’t work or earn. People who conformed to the rules, reporting to the authorities as requested, realised too late what was happening. Governments may find it convenient to blame this policy on mistakes or insensitivity, but it’s much worse than that. This policy breaches the most basic principles of natural justice:: it offers a sentence before a verdict, and a verdict before a hearing. It threatens people with bodily force, and we have to presume that the threat has been carried out. It denies UK citizens the rights of their citizenship. As David Lammy has said, the people who came to Britain before 1971 don’t need to be granted UK citizenship – they were UK citizens before they arrived. There’s more. The Home Office has ignored the evidence it was offered. 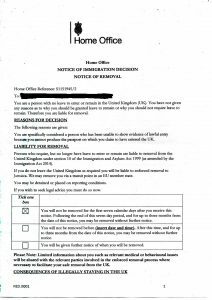 It has responded aggressively to enquiries from legitimate citizens and residents (including EU nationals). It has denied people access work, health care and employment. It has created a situation where the only most sensible thing for a citizen to do may be to hide. And it all results from the deliberate decisions and actions of those in power. I’ve seen some bad administration in Britain in my time, and some shameful decisions. This may be the worst.